The meadow is where many outdoor gatherings happen. 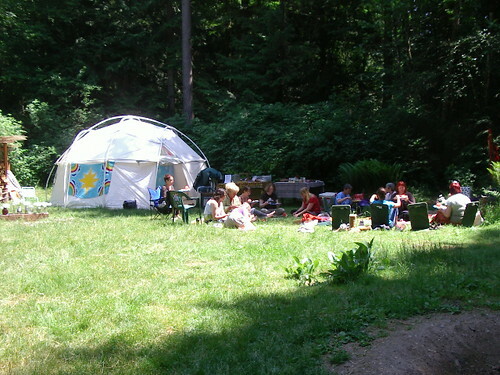 The sweatlodge is located in the meadow. 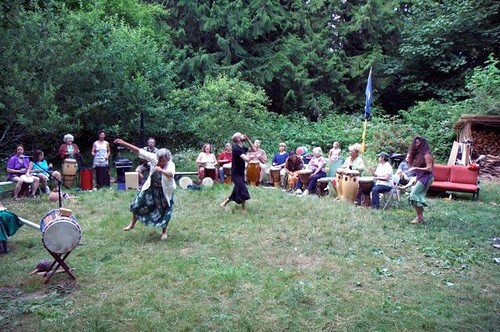 In addition, there is space for drumming, dancing, bonfires, hanging out and playing around. It is entirely private, surrounded by woods, accessed by a foot-path that goes down the hill from the driveway. The white dome is a great place for rainy days, a place for changing clothes during sweatlodges, another sweet round “container” for our sacred work here at Sacred Groves.